Part of the Australian National Heritage List and one of the world's iconic stretches of sand, Bondi Beach is a must-see while in Sydney. About 1 km (0.6 mi) long and as wide as a football field is long, the golden sand and green parkland behind it provide ideal lounging space. 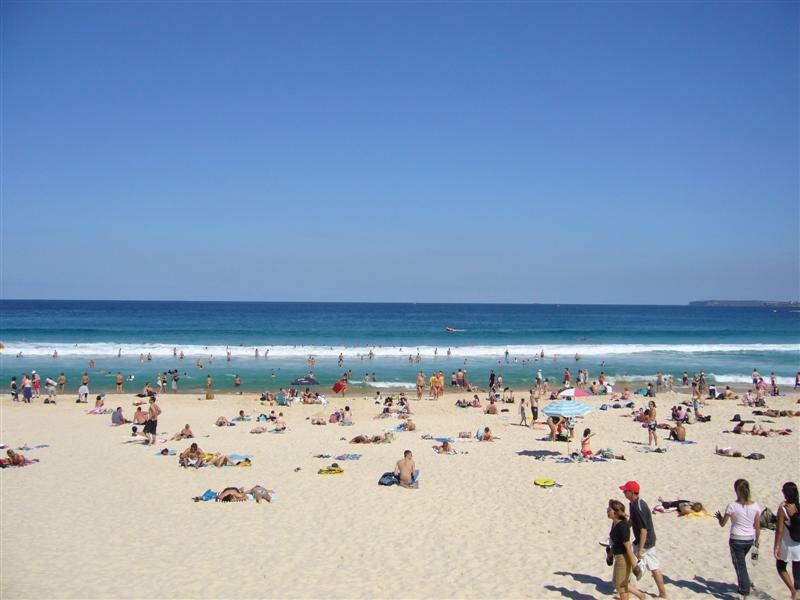 If you plan to swim, head to the northern end; a rip-current on the southern end makes swimming hazardous but provides excellent surfing waves. If you visit during the summer, you might see whales and dolphins migrating from Antarctica to Australia's warm waters. 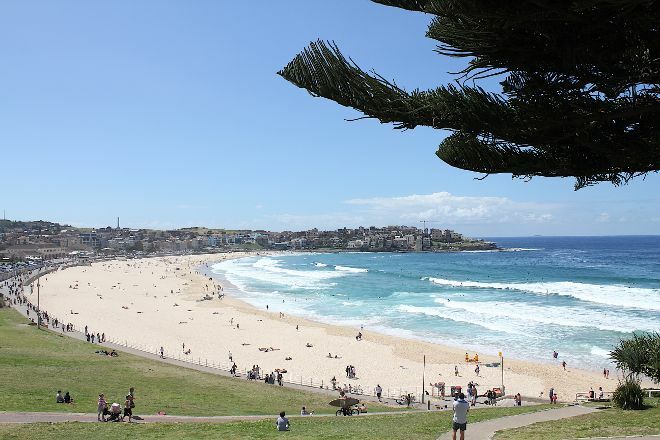 Using our online itinerary creator, Sydney attractions like Bondi Beach can form part of a personalized travel itinerary. We came to Sydney on holiday and of course had to visit the iconic Bondi Beach. Being from California, I love my beaches. Bondi reminded me of home, and some of my favorite beaches. It has a fun, vibrant, easiness about it. Sure it touristy around the edges but down on the beach and in the water it’s pure joy. 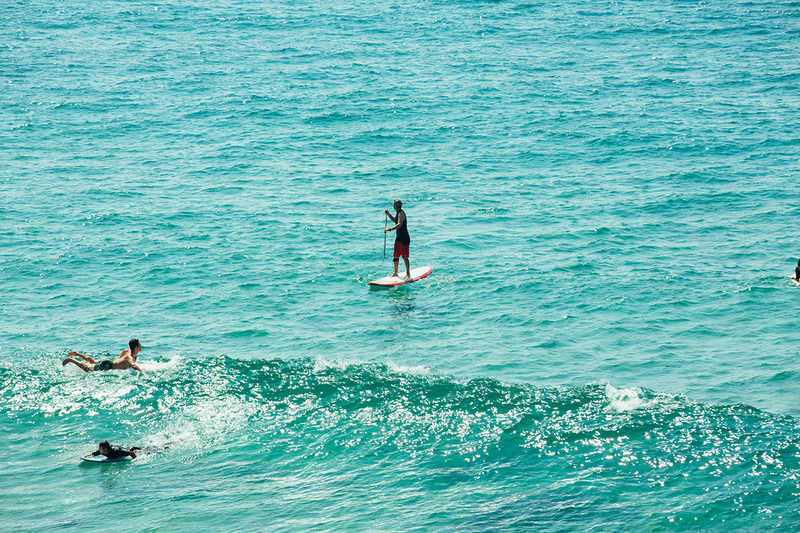 Surfers, sun soakers, people jumping in the waves, friends hanging out, white sandy beaches, that’s what it’s all about. Lifeguards on duty in all wheel vehicles cruise the beach to keep the less avid water folks close to shore. Safety is a priority here. Bathing tops, not so much. You can also rent umbrellas, chairs, boogie boards and wetsuits for reasonable fees. Lots of shops and eateries close by. We had great fresh seafood and chips at Bondi Surf Seafood Market. Well worth the visit.